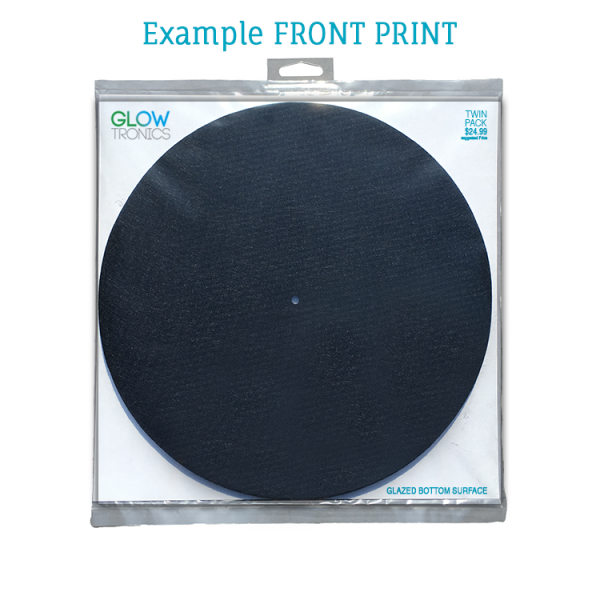 Our Poly Bag packaging is perfect for all your promotional slipmat needs or on a budget. Each poly bag can contain 1 or 2 slipmats. 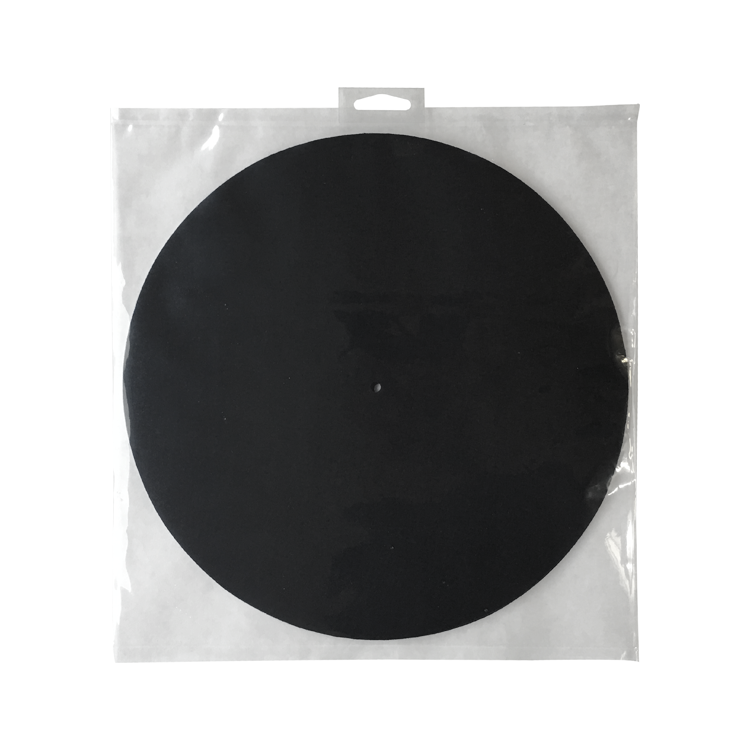 Once the slipmats are put inside the poly bag, it is heat-seal for protection to ensure a dust free environment. A retail hang tab is then added to the top center of the packaging.